With gifts totaling more than $660,000 over the past five years, NVIDIA is supporting Ohio State engineering researchers’ efforts to produce software that runs some of the most powerful supercomputers worldwide and make it freely available. DK PandaCreated by Computer Science and Engineering Professor DK Panda and his team more than 15 years ago, MVAPICH (Message Passing Interface for InfiniBand) software improves processing by connecting traditional supercomputing software with innovative networking technologies and protocols, thus increasing the data flow speed significantly. It delivers the best performance, scalability and fault tolerance for high-end computing systems and servers using InfiniBand, Omni-Path, Ethernet/iWARP and RoCE networking technologies. Used by more than 2,775 organizations in 85 countries worldwide to extract the potential of these emerging networking technologies for modern systems, the software powers the world's fastest computer, the Sunway TaihuLight at China's National Supercomputing Center. As of June 2017, more than 420,000 downloads have been logged on the project's site and MVAPICH is also distributed as part of many vendors’ software packages. When graphics chipmaker NVIDIA first introduced their GPGPU accelerator device nine years ago, there wasn’t software available that could combine its performance advances with those provided by InfiniBand software. So Panda and his team invented a subset of the popular MVAPICH library that does just that. “We introduced a new paradigm called CUDA-Aware MPI. That led us to a publication saying that if we use that technique people can harness much higher performance with NVIDIA’s device, together with InfiniBand and our software stack,” Panda said. Thanks to Panda’s close partnership with NVIDIA, the Buckeye engineers receive the company’s newest hardware and software drivers each year so they can update the library and make it available to the supercomputing community as open source software. Funding from NVIDIA also enables Panda to hire student researchers to work on the project. 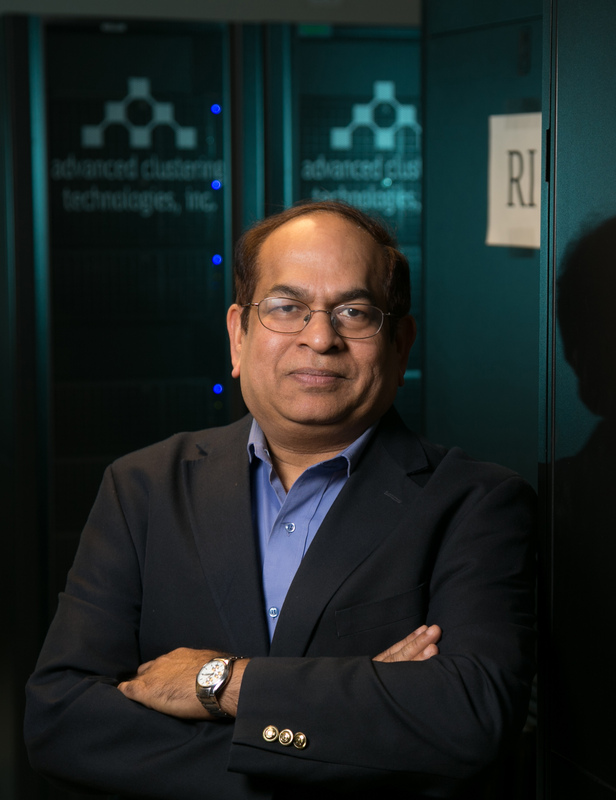 Panda, a world leader in research on high-performance and scalable communication in parallel and high-end computing systems, is a frequent speaker on high-performance computing topics around the globe and was recognized as a Rock Star of HPC by Inside HPC in May. MVAPICH research by Panda and the Network-Based Computing Laboratory at Ohio State has also received significant support from Microsoft and Intel.